Margate, NJ - The basketball barnstormer who owned the Washington Generals and other teams that lost thousands of games to the Harlem Globetrotters has died. Louis “Red” Klotz was 93. The Press of Atlantic City (http://bit.ly/1kVKk8R) reports Klotz died in his sleep Saturday at his home in Margate. Klotz formed a working relationship with the Globetrotters in 1952, putting together the opposing teams that almost always lost. In 1971, he hit the game-winner in a rare Globetrotter loss as a 50-year-old player/coach. Klotz played on title-winning basketball teams in high school and an undefeated college team before playing one season with the championship-winning Baltimore Bullets in 1948. A little known fact: The Washington Generals were originally the Philadelpha SPHAs, and SPHA was an acronym for South Philadelphia Hebrew Association. Yes, it was a Jewish team. And it was a good team until they started playing the Globetrotters every night. Team CEO Kurt Schneider said Klotz was “a legend and a global treasure.”.... Aha! !Was he a Shomer Torah U'mitzvos - thats the only question that matters now - not all the money, name recognition and how well he played basket ball. Go see a doctor. You need help. The team you refer to is now the Golden State Warriors of the NBA. They were the SPHA team which became the Philadelphia Warriors, who then moved to San Francisco and more recently to Oakland. Not true, but it is easy to see from where the confusion arrives. 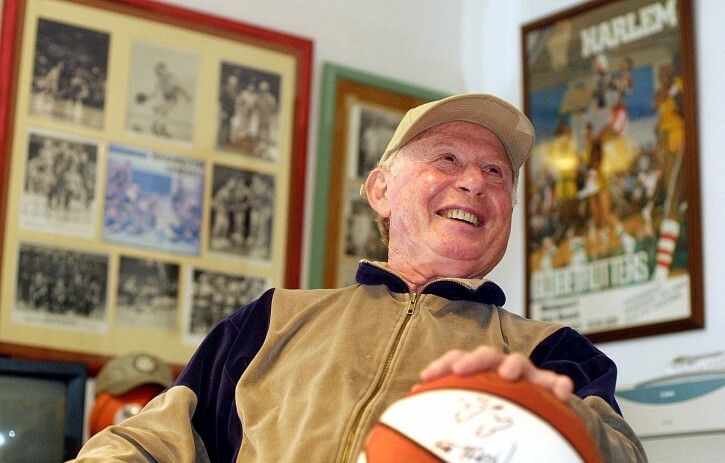 The SPHAs owner Eddie Gottlieb was one of the original team owners in the new Basketball Association of America, later the National Basketball Association. The team he owned in the BAA was indeed the Philadelphia Warriors. But he also continued to own and operate the SPHAs for a few years until he sold them to Klotz.